After Rob Zombie attempted to breathe new life into the series with a pair of films in the late 2000s, the Halloween franchise has since been idle, with Michael Myers waiting in the wings for new movie-going victims. 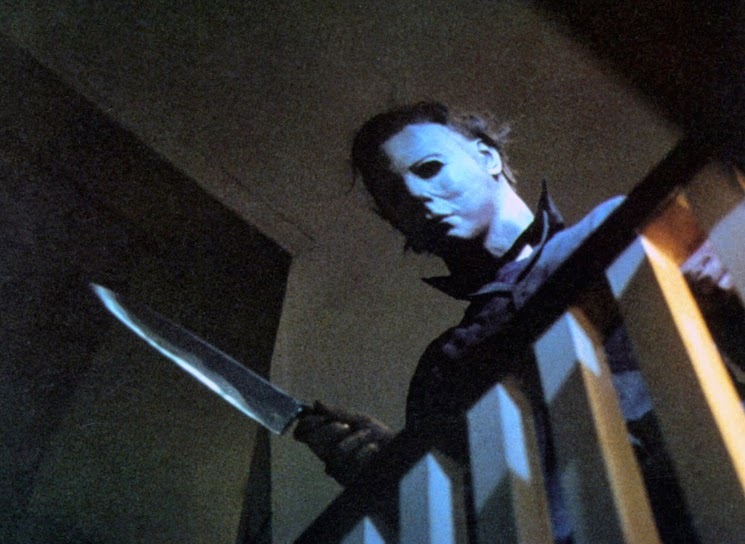 Next year, however, the masked character will return with a new Halloween movie called Halloween Returns. We'd be much more excited if the new Halloween flick was being helmed by a true John Carpenter disciple like It Follows helmer David Robert Mitchell or The Guest's Adam Wingard. Instead, it's being handled by Marcus Dunstan, a man whose include screenplays for the last four Saw movies and the script for Piranha 3DD. Dunstan is set to direct the film based on a script he cowrote with Patrick Melton. It'll be produced by Malek Akkad, with Matthew Stein serving as the executive producer. "Michael Myers has taken a long break from the big screen and we know fans are eager to see him return," Bob Weinstein, co-chair of The Weinstein Company and Dimension Films, said in a statement. "We are excited to be back in business with Trancas and look forward to bringing one of the scariest installments of this classic franchise to audiences worldwide." Production for Halloween Returns will begin in July of this year, with plans for release in 2016. There's no official release date just yet, but we wouldn't be surprised if it landed somewhere around, you know, October 31.